Gourd art engages creating works or art on hard shell gourds as a medium of art. A gourd is a plant belonging to the Cucurbitaceae family. The surfaces of gourds may be painted, carved, burned, sanded, polished or dyed. This results in beautiful artefacts that can be used for decorating purposes. Pyrography can be defined as the art of embellishing wood or other materials with burn marks ensuing from the controlled appliance of a heated object. It is also known as wood burning or pokerwork. Pyrography also means writing with fire. Gourd art is considered to be a type of pyrography. Pyrography and gourd art for the purpose of decoration is considered to be an ancient tradition among the native people of America. It is said that gourd has been a part of the civilization since the very beginning. Historians have found pottery and utensils of different shapes made with the help of gourds dating back to prehistoric times. Gourds are among the oldest cultivated crops that have spanned the globe since prehistoric times. 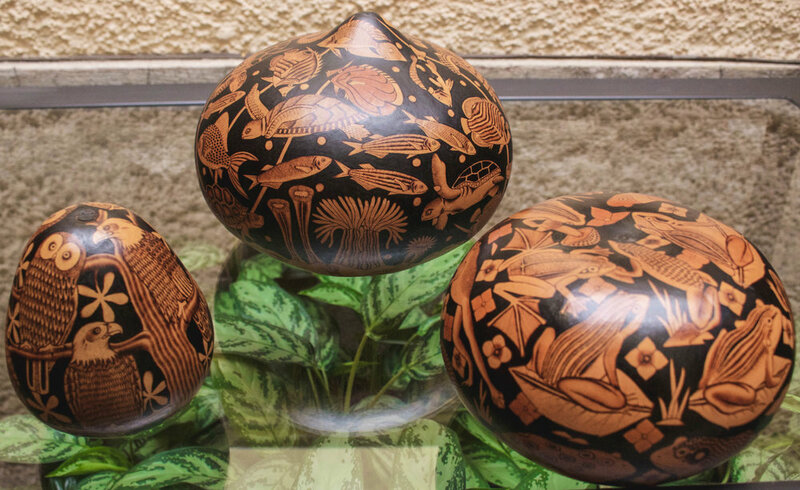 As gourds generally grow best in temperate and tropical zones it comes as no surprise that some of the most beautiful gourds are being made by artists residing in Peru and other countries of Latin America. When gourds are dried and cleaned they have natural blemishes and scars which enhance their natural beauty. Artistic styles of gourd art can range from craft to fine art. Artists use imagination, art and fantasy and combine them together to create nature’s most curious and amazing natural materials into beautiful and unique works through gourd art. Carved and painted gourds not only decorate many home around the world, as a real art they have also found a place in many museums around the world. 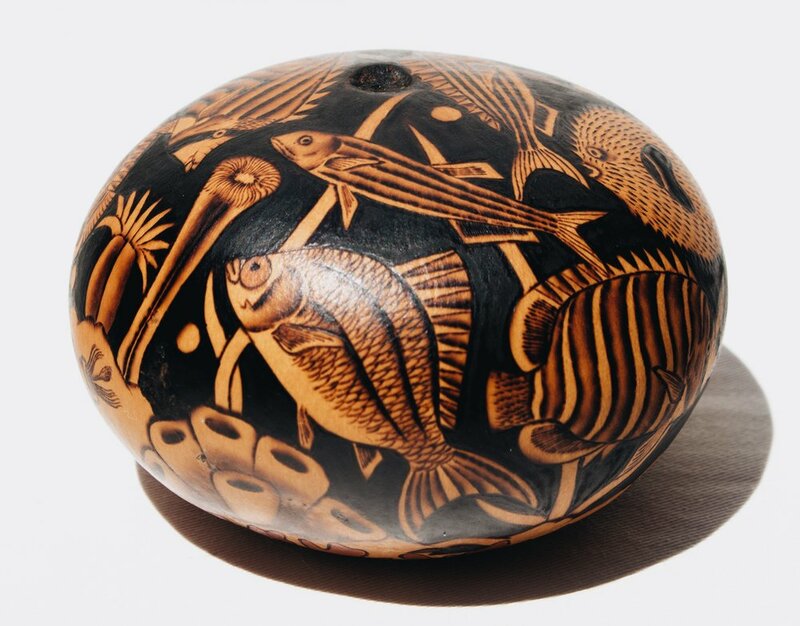 In our store we show a great collection of handmade gourd art from all over Latin America.